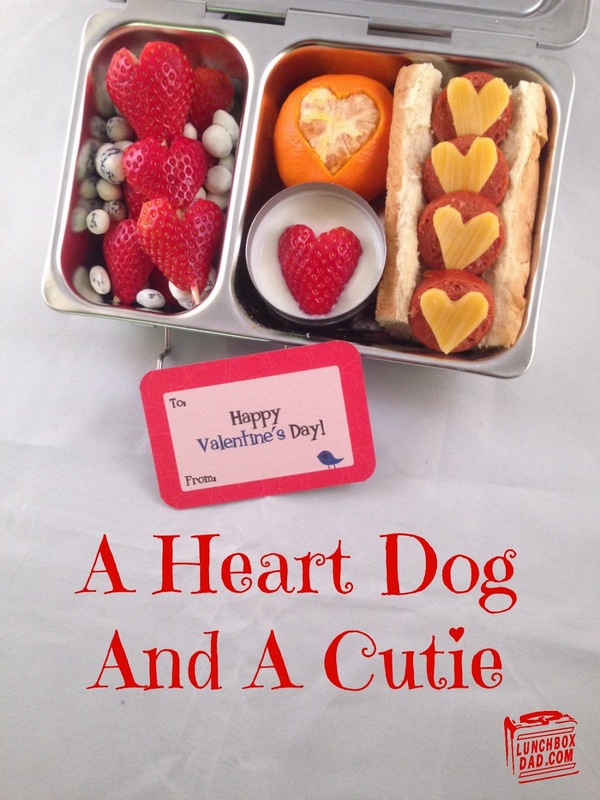 Lunchbox Dad: A Heart Dog and A Cutie for Valentine's Day! I'm going to be leaving town for work on Valentine's Day so I thought I'd make a little early Valentine's Day lunch for my daughter. My wife was sick all day, so with three kids needing my attention, I had time to do a simple but special lunch for this morning. When you are trying to make sure the kids don't destroy the house or disturb your sick spouse, some things have to take priority. In between the madness of bedtime for the older two, and feeding time for the newborn, I was able to throw this lunch together. Remember that you always have time for something, whether it is this lunch, a sandwich shaped like a heart, or even a simple note. Kids remember these moments, and it might just make the difference in their day! This is an easy lunch to reproduce so please feel free to take my idea and make it your own! One of the fun things about this lunch is the Lunchbox Love note. The note you see is a valentine with a fun fact on the back. I am including a whole set of these valentines in my daughter's lunch so she can pass them out to her friends at school. I also packed some of my daughter's most well liked foods in this lunch. Cutie oranges are one of her favorite fruits (mine too). She also loves a good hot dog. Well, this is actually a sausage which she likes even more. I sliced it up so the amount included only amounts to about half of the sausage. This lunch is made in a Planetbox Shuttle lunchbox. It is great when you need a smaller container for less food. 1. Cook hot dog, slice it into small rounds, then chill in refrigerator. Put hot dog bun in your main container. Arrange chilled hot dog slices in bun. 2. Cut heart shapes out of cheese slice. place on top of hot dog slices. 3. Slice strawberries in half, then trim to look like hearts. Skewer the the strawberry halves and place in side dish. 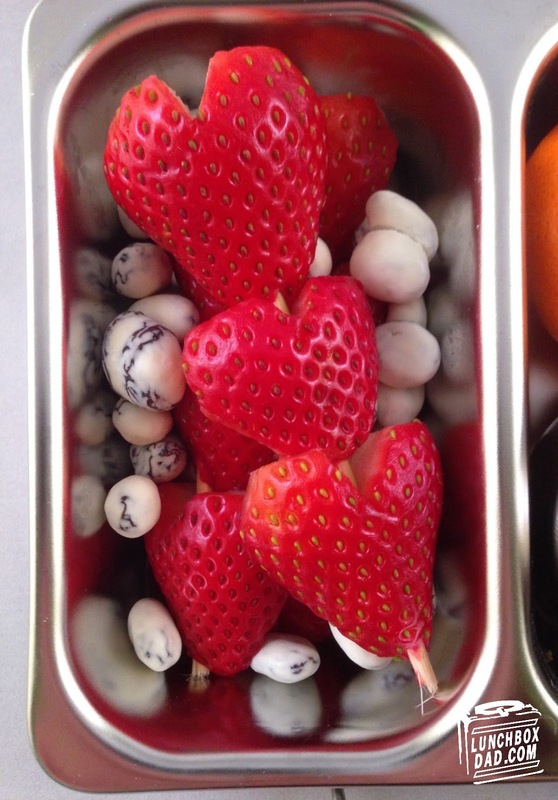 Spoon yogurt into small container and top with strawberry heart. 4. Drop yogurt covered raisins around strawberry skewers. 5. 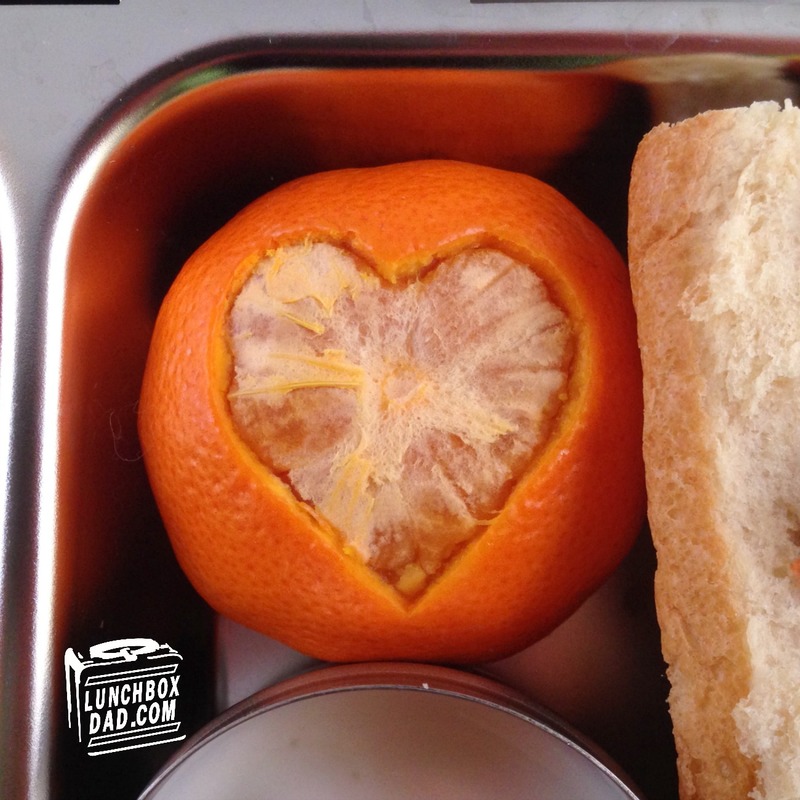 Use sharp knife to slice the shape of a heart out of a Cutie orange. Put in side dish. 6. 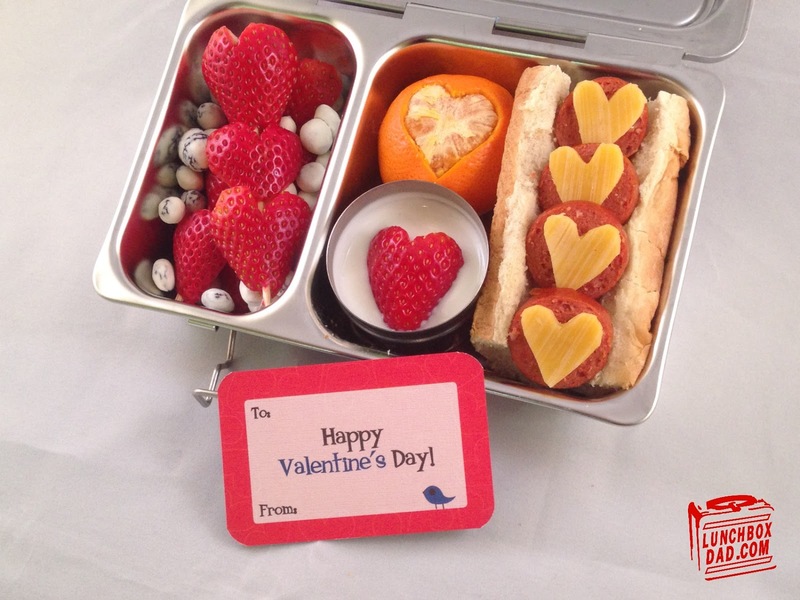 Finish lunch with a Lunchbox Love note if desired. I hope you have a great Valentine's Day and are able to show love to your kids and your significant other in a special way. Check back later in the week as I hope to post some more great stuff on here as well as on Facebook, Twitter, and Pinterest! 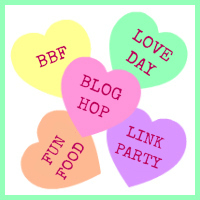 This is also part of a great Valentine's Day blog hop and link party. Click the picture below to get some fun ideas for Valentine's Day! Love the orange idea & heart dog!! Thanks so much it was fun and easy!